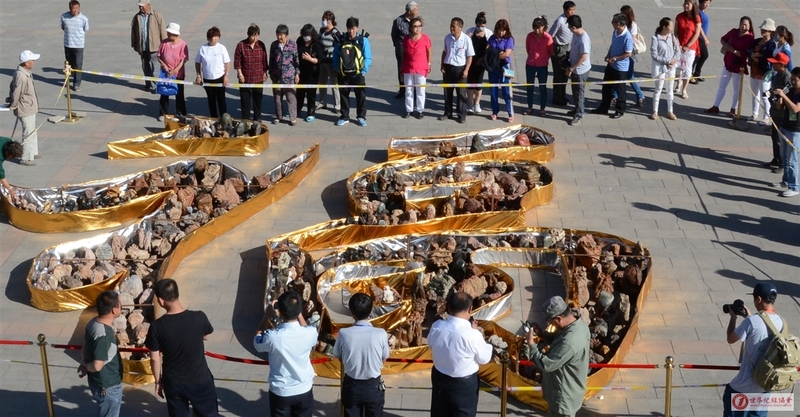 The largest number of rare stones with the Chinese character of “fu” 福 on them in the world ---- Baiyun Obo mine, of Baotou City, created the “Collection of a Thousand Stones of Fortune”, with the Chinese character of “fu” on them. 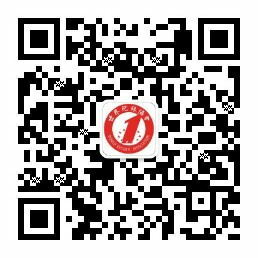 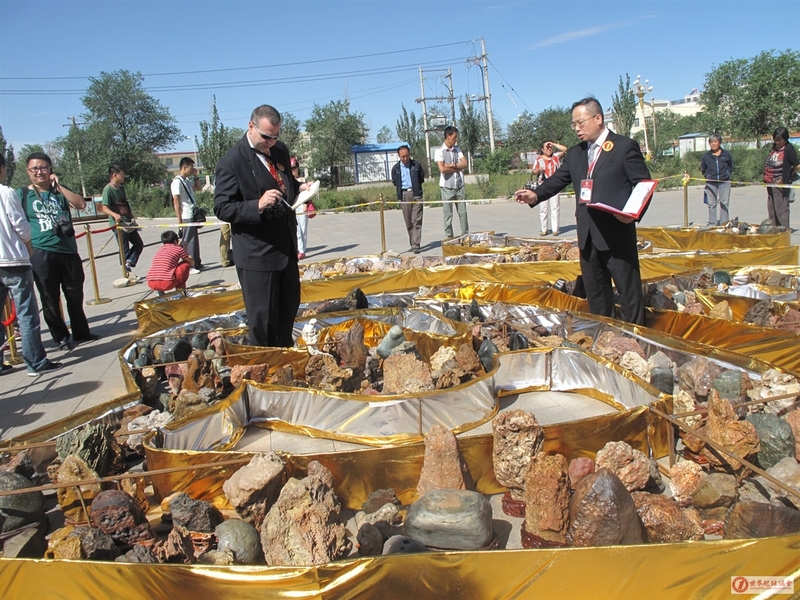 On August 6, 2013, Baiyun Obo Mine, in Baotou City, Inner Mongolia, created a “Collection of a Thousand Stones of Fortune”, with the Chinese character of “fu”福 on them using a 1219 rare stones from Baiyun Obo Mine. 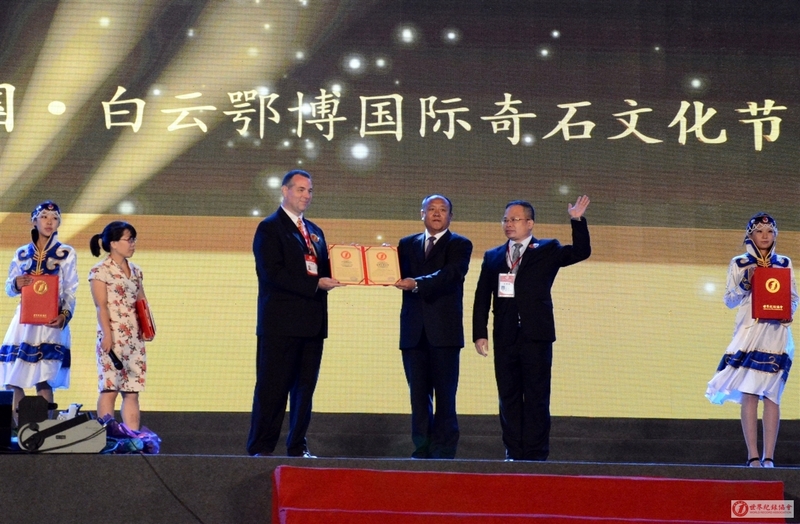 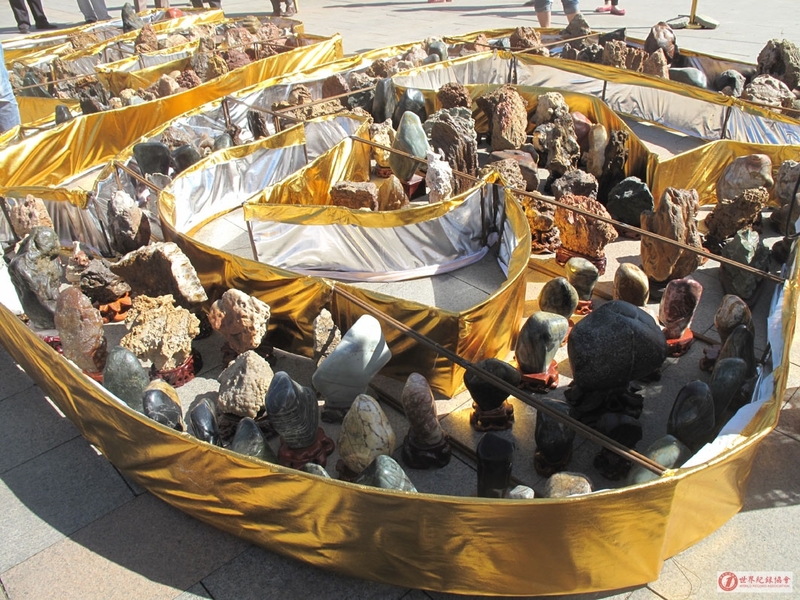 The total length is 7.9 m, with a width of 8.25 m, totaling an area of 65.18 square meters, to set the world record, granted by the World Association for the largest collection of rare stones with the Chinese character “fu” 福 on them in the world.